Which is the best Gaming mouse under 500 Rupees? We all love gaming and for playing games, we need high DPI Gaming Mouse. But the Problem is that gaming mouses are really expensive cost thousands of rupees. But don’t worry now there are some local Indian & Chinese companies make really nice gaming mouse which can fit in your budget. 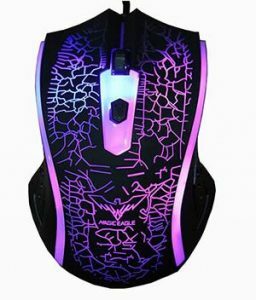 If you can spend double amount then also check out list of Best gaming mouse under Rs. 1000 in India. This mouse is the cheapest mice in our list. Havit MS736 has three DPI Setting 800, 1000 & 1200. It also has 7 color light which changed automatically you can’t control lights manually via any software. It has 6 Buttons and 1.5 Meter long cable. Overall Mouse looks very decent for Rs.390. The mouse has matt finish on top which provides amazing grip and mouse in neither too small or nor too big. So, this is a perfect gaming mouse under 500 for those who can’t spend more than 400 on a mouse. It has max 1200 DPI. It has 6 buttons for control and 1.5-meter long cable. 7 Multi-Color Colorful LED lights. Buy at Lowest Price – Rs. 390/-. 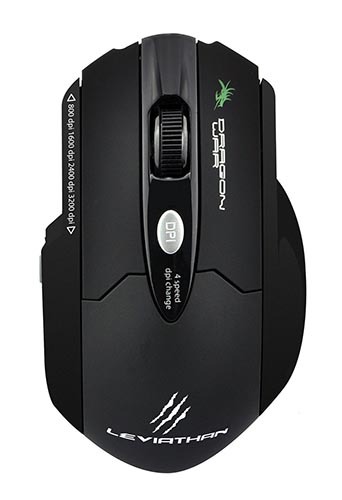 If you can spend up to 500 rupees on a gaming mouse then this mouse is perfect for you. DW ELE-G11 comes with Blue Sensor and maximum DPI Level is 3200 which is fantastic under 500 rupees. Although this gaming mouse looks very childish from the design point of view but you got amazing Specifications. Equipped with the special blue-sensor technology. Four DPI Setting 800, 1200, 2400 & 3200. This mouse is fitted with a 1.8 meters long cord which has a braided with fiber cable. USB Connector is also gold-plated. Buy at Lowest Price – Rs. 490/-. 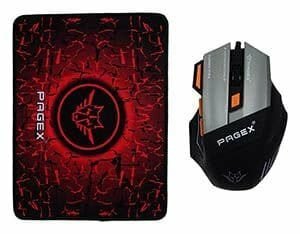 If you want a mouse and mousepad under 500 rupees then Pagex provide an amazing deal for you with Pagex E024 you got a mouse for gaming and mousepad in combo under 500. So, you can’t get more than this under five hundred. 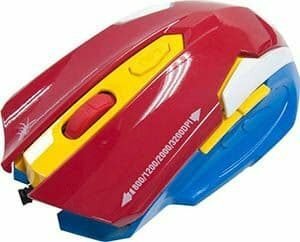 The mouse is really nicely built and looks really similar to Dragonwar thor mouse which cost Rs. 1100. 800, 1600,2400, 3200 DPI Settings. Buy at Lowest Price – Rs. 499/-. Havit is a company who makes great products for since 1998 in budget segment and Havit HV-MS731 is a great gaming mouse if your budget is very tight. This gaming mouse has a 6D sensor. with Unique Breathing LED Lights. The mouse has 4 DPI Setting so you can choose between 800, 1200, 1600, and 2400 DPI. The mouse has an Ergonomic design to fits naturally in your hand. Overall that is a really good mouse for gaming mouse under 500 price range. It has high precision 6D gaming sensor. Unique breathing LED light provides a soothing and calming ambient light. Seven different colors provide a constantly changing and unique look. 4 DPI Setting 800, 1200, 1600, and 2400 DPI. Plug and PlayNo additional software of firmware is required. Buy at Lowest Price – Rs. 550/-. DragonWar is a known chines brand for gaming mouses and they make great products in the budget segment. Leviathan ELE-G1 cost 598 rupees. Below I list the main top key features of this mouse. With this mouse you can play Cricket games, Action games like WWE 2K or more. This gaming mouse comes with 5 programmable buttons. It has a 1.8-meter long cable which is braided with fiber cable. Suitable for almost every surface but we recommend mousepad. Ergonomic design for right-hand side users. Special gaming laser sensor with 4 DPI Setting. DPI Levels 800/1600/2400 & 3200. Buy at Lowest Price – Rs. 598/-. All the mouse in our list is used by me personally but one thing I like to mention dragon war mice are more trustable for long-time users. But all the mice’s perform really good under really tight budget. If you have any question or suggestion drop that in the comments section below.